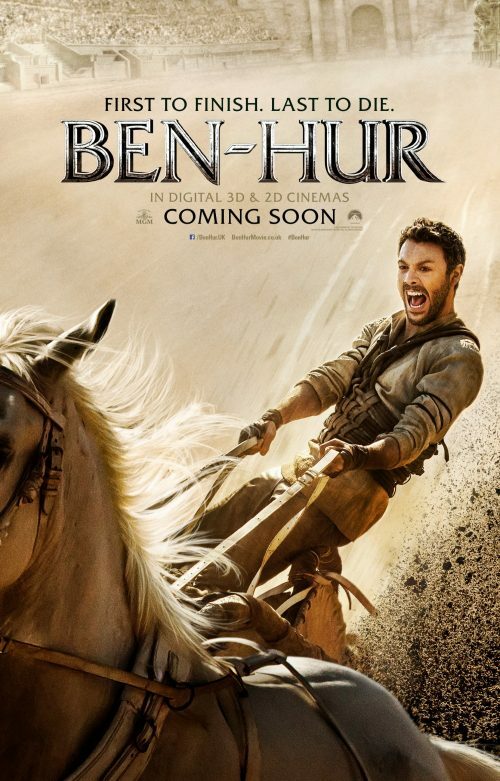 Only yesterday saw the first images for the upcoming remake of Ben Hur hit. I wondered then if the pivotal chariot race was going to be like something out of Mad Max. I wasn’t disappointed with my pondering. Now the trailer has arrived and I seem to be proved correct on that. If you don’t believe me, then just click play and see for yourself! Not only do we have the explosive trailer but a great poster as well. I did wonder about one of the images that was released and why it was portrait. Now we know. It’s part of the poster. Not only that, the poster is real cool as well! Racing into UK cinemas August 26, 2016.